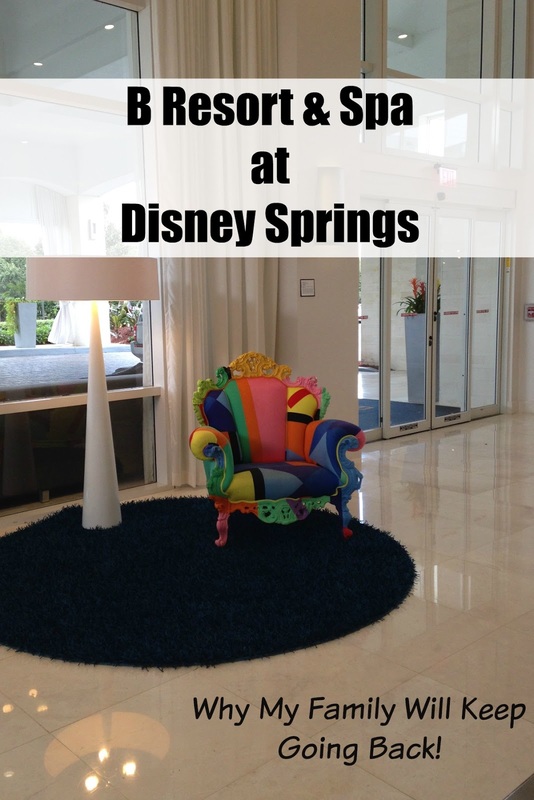 B Resort and Spa at Disney Springs: Why My Family Will Keep Going Back! Decided to stay off-property on your next visit to Walt Disney World? B Resort and Spa, one of the Disney Springs properties, has quiet rooms, gorgeous views of the parks, a great location- and it’s affordable. Want the scoop on why it’s one of my favorite off-property hotels? Here’s why it’s so easy to just “B”. B Resort has a really great location inside of the Disney Springs area. An “Official Walt Disney World Hotel”, the prestigious title gives guests special perks including an on-site gift shop filled with park merchandise, the ability to purchase park tickets and make advanced dining reservations and tee times. Also included with resort stays is a free shuttle program. The shuttle leaves around every 30 minutes and is in partner with the rest of the Disney Springs Resorts. The only downside about that? The drive to and from the parks can be pretty lengthy as you’re stopping at the partnering resorts, but it definitely saves you from paying $20+ for daily parking in the parks. The resort itself has a really hip, almost European feel and style. I mean, check out the lobby chair-imported from Italy and ready for selfies. I’m really in love with the Blissful Beds- B Resorts answer to a heavenly night’s sleep. We stayed in a two queen room with an additional pull-out twin bed (The Kid claimed it immediately! ), and for the three of us there was plenty of room. The room offered a view of Disney Springs and we were high enough up that we were able to see the WDW fireworks at night. Strike that: Mr. Locke and The Kid watched the fireworks; I fell fast asleep as soon as I hit the bed levitra generico Firenze ! It was so easy to get ready for the parks with a giant bathroom. Ours offered a walk-in shower (my family doesn’t need a tub), a giant vanity area, and really good lighting. good lighting makes a difference, doesn’t it ladies? There’s plenty to do at B Resort and Spa, and we were happy to hang out one day to check out all of the fun. 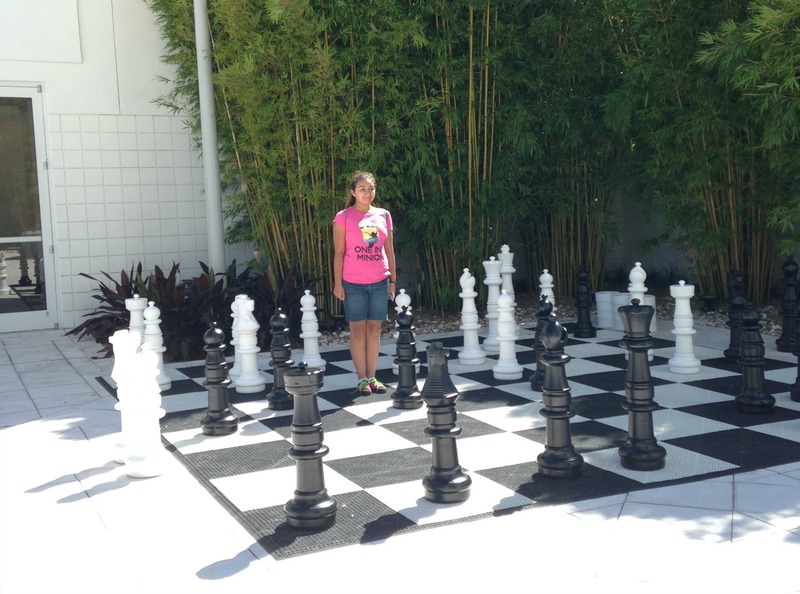 We swam in the outdoor pool (one end is zero-depth), Mr. Locke sat in the hot tub, and The Kid had a blast playing in the giant chess set. What else made our stay so worthwhile? The resort offers valet parking (there is a per night charge) or self parking, free wifi that was a snap to log on to, a business center, and tennis courts. A great perk? On-site laundry facilities- great for washing all of your laundry before you leave to head home. What a time saver! Want to relax? book an appointment at B Indulged Aveda Spa. Adjacent to the outdoor pool, the full-service spa offers massages, beauty appointments, and even has a fitness center inside. Next time I visit I’m definitely booking an appointment! In addition to quick service-style The Pick-Up, we loved American Q, the in-house BBQ restaurant. Offering a fabulous food and salad bar and really good entrees. The restaurant has closed since we visited in October and I’ll miss it. Do you have a favorite resort when you visit Walt Disney World? Please let me know in the comments! Disclosure: I was hosted by B Resort & Spa and given a media rate to give you fine folks the scoop on what makes this resort so fab for guests. I was not asked to state a particular point of view and all opinions are my own!